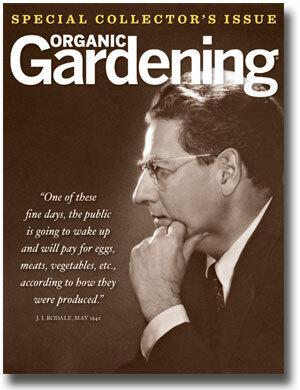 Organic Gardening Magazine just published their “keepsake” issue and it was an interesting read. So many ideas that have roots (excuse the pun) that go back further than I could have imagined are now coming to the forefront. Boy, that rubbed me the wrong way. I’ve tried to track it down and see if it was taken out of context. So far, no luck. Has anyone else seen this quote or know anything about it? Could it really be possible that this is what he thinks? This entry was posted in News and tagged organic. Bookmark the permalink.